The Bombay High Court in Shakil Ahmad Jalaluddin Shaikh vs. VahidaShakil Shaikh held that, mere existence of a document like talaqnama, is not sufficient to render a valid Talaq. Justice M.S. Sonak held that, for a valid Talaq, it is not sufficient that the prescribed expressions are pronounced thrice but the stages it is preceded by, are required to be pleaded and proved before the Court, if disputed by wife. The High Court recently vindicated two Senior Advocates and a host of other lawyers from accusations of conspiring with the client and defrauding the High Court. Justice A.K. Menon instead issued show cause notice for criminal contempt against Advocates KuldipPawar and NileshOjha and their client Mr. Prasad Arvind Sant, the makers of these allegations. Kerala High Court on Monday, refused to stay the Vigilance Court order which had ordered Vigilance& Anti-Corruption Bureau (VACB) to lodge case against K Babu. First Bench of the High Court comprising of Chief Justice Ashok Bhushan and Justice A.M. Shafique said the order of Vigilance Court can be challenged in appropriate proceedings. On Friday, the High court suspended the order by Vigilance court which had directed the Vigilance and Anti-Corruption Bureau (VACB) to investigate the complaint against the Chief Minister and Power minister of Kerala. Justice P. Ubaid, in his order made critical remarks about the Special Judge of the Vigilance Court and said that the order of Vigilance court requires detailed examination regarding the necessity of sanction as well as the jurisdictional issues. Patna High Court held that Division Bench of a High Court cannot exercise its power of superintendence, under Article 227 of the Constitution of India, against an order made, in a suit, by a Single Bench of the High Court. Division Bench comprising of Acting Chief Justice I.A. 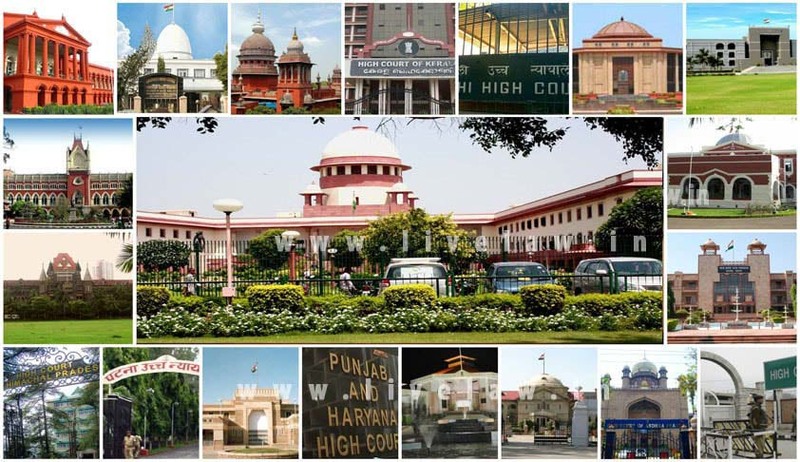 Ansari and Justice Chakradhari Sharan Singh observed that single Judge or a single Bench of a High Court is not a court subordinate to the Division Bench of the High Court. High Court of Rajasthan held that functions entrusted upon the Board of Directors by the rule could not be outsourced to the legal advisers. Division Bench comprising of Acting Chief Justice Ajit Singh and Justice Anupinder Singh Grewal made this observation in Rajasthan Urban Co-operative Bank Ltd. vs. Ajay Kumar Katewa.